Zero-rated data has taken centre stage lately, but some regulators are concerned that service providers and mobile operators can funnel traffic in a direction that will disrupt the general spirit of the Internet. Today, the Telecom Regulatory Authority of India announced that it will prohibit service providers from taking part in free-data programmes based on content. 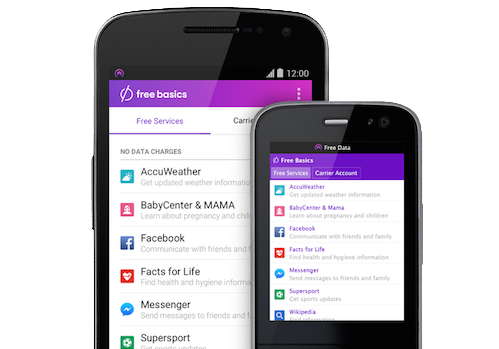 Facebook's Free Basics provides free access to limited services through special partnerships with local mobile networks, and CCS Insight wrote about the initiative when it was launched with Reliance Communications as Internet.org (see Daily Insight: Giving It Away). The service is available at no cost and without data charges in 38 countries for content on news, employment, health, education and local information. It aims to introduce new users to the benefits of the Internet in the hope that they'll eventually buy data packs from mobile operators to access a broader suite of content, and there's some evidence that this approach works. Facebook's sponsored-data service was introduced in 2015 across much of India, and Facebook and WhatsApp quickly became the most popular apps in the country. The company also introduced a Lite app to provide millions of 2G feature phone users with a similar experience. At the end of 2015, the Internet and Mobile Association of India reported that there were about 400 million (mostly mobile) Internet users in the country (see Daily Insight: India Reaches 400 Million Internet Users). This means that there are still more than half a billion people in India yet to be connected. The ruling by the Indian regulator comes after months of public lobbying by Facebook and major networks to allow differential pricing plans for data services. Operators believed that the programme would increase Internet penetration in India, benefiting consumers over time. But the initiative also faced concerns that it violated the spirit of Net neutrality — the principle that all Web sites should be equally accessible. It was feared that Facebook and its partners could be building a walled garden around the Internet, dulling the competitive environment. Facebook rebranded Internet.org to Free Basics in September 2015, partly in a response to this criticism and to make it clearer that users would receive a basic service rather than full Internet access. Facebook CEO Mark Zuckerberg stated that, despite today's decision, connecting India is "an important goal", and that such Internet access "can help lift people out of poverty, create millions of jobs and spread education opportunities". The case in India echoes current Net neutrality debates in the US, where regulators have so far taken a less forceful approach. Verizon, for example, recently launched the Go90 video service that users can access without data charges. T-Mobile sponsors data for video from partners through its Binge On services, and AT&T and Sprint are experimenting with similar initiatives. The US Federal Communications Commission has yet to rule against this trend. It's too early to predict how the other countries that currently allow the Free Basics service will react to the move by the Indian regulator, but the decision is a setback for Facebook in its efforts to provide access to at least specific corners of the Internet.